The Domke FA-031 U.S.P.O. Shoulder Pad is an ergonomically designed pad that is made of thick foam rubber on a tough leather backing. 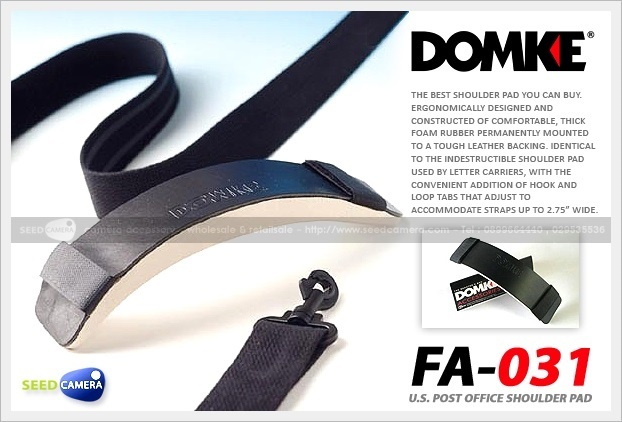 This pad is identical to the shoulder pad used by letter carriers with the addition of touch fastener tabs which adjusts to fit straps up to 2.75" wide. The newly engineered foam makes pad more durable and attractive than ever. - The shoulder pad fits the contour of your shoulder. - Touch fastener tabs which adjust to fit straps up to 2.75" wide.